From kits to individual components, LED Spot offers a wide selection of parking lot lights, poles, and accessories. Whether you're looking for metal halide or LED, we have a variety of contemporary and classic shoebox fixtures. 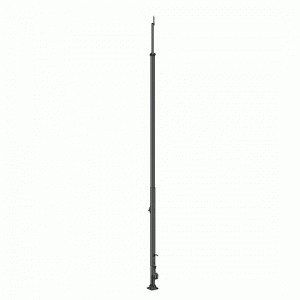 Our parking lot poles come in all shapes and sizes for any commercial lighting project. If you don't see what you're looking for, give us a call at (281) 972-5006. Classic round, straight pole to support light fixtures. Available in a variety of heights and gauges. Galvanized round, straight pole for supporting light fixtures. Includes anchor bolts and base cover. Straight, square light pole with anchor bolts. Available in multiple colors and mounting heights. Galvanized square pole for supporting light fixtures, security cameras, and other mounted equipment. Includes anchor bolts and base cover. Light pole with round, tapered design. Great for supporting fixtures in high wind zones. Round tapered pole with galvanized finish. Ideal for coastal areas and high wind zones. 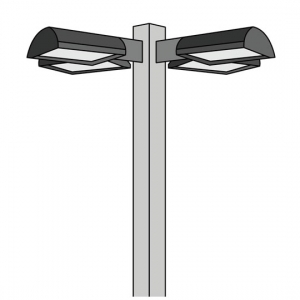 Light poles designed for high wind areas. Durable steel material to support up to four light fixtures. Square galvanized pole for light fixtures. Includes anchor bolts and base cover. Round light pole for supporting light fixtures. Buries directly into ground. Light pole that buries directly into ground. Round galvanized structure to withstand elements. Square steel pole with hinge for added versatility. Anchor bolts and base cover included. Hinged galvanized pole to support lighting fixtures. Durable carbon steel to withstand harsh weather. LED lighting kit with single fixture and square pole. Ideal for parking lots, small courts, and other recreational areas. Parking lot kit with 20 foot pole and single LED fixture. Available in two wattages. 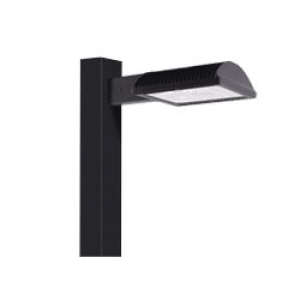 Single fixture lighting kit with sustainable LED and 25' square straight pole. Kit with 30 foot pole and LED fixture. Bronze and white color options available. Parking lot kit for illuminating large commercial lots. Energy efficient LED in two wattage options. Lighting kit with two LED fixtures at 180 degree angle. Square straight pole able to withstand 110 mph winds. LED parking lot kit with 20 foot square pole. 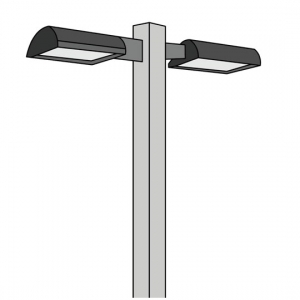 Two energy efficient fixtures for lighting commercial lots. Two LED fixtures mounted on a square straight pole. Ideal for large parking lots and recreational areas. Available in a bronze finish. Double fixture kit available in two wattages. Ideal for parking lots and large commercial areas. Two LED fixtures mounted at 180 degrees for proper parking lot coverage. Kit also includes pole, anchor bolts, and base cover. Parking lot kit with sustainable LED lamps. Durable steel pole with anchor bolts and base cover. LED kit with four fixtures and 25 foot steel square, straight pole. Ideal for large parking lots and other commercial applications.